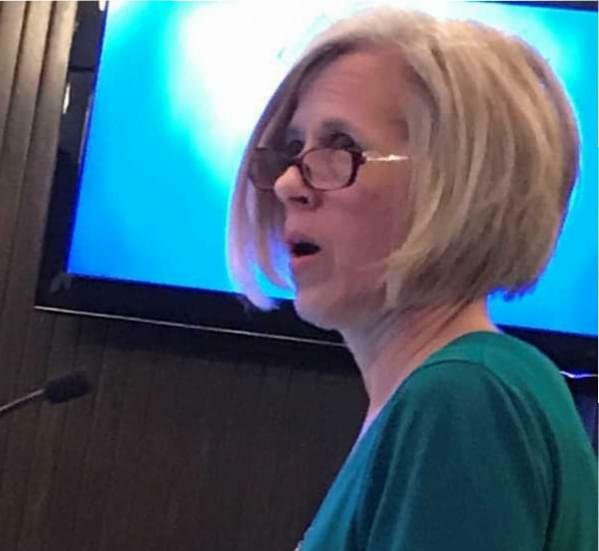 BLOOMINGTON – A Bloomington property owner and her husband appealed to the city council Monday night to take quick action against escalating violence on the near west side. Karen Kinsella said she spoke out not to criticize city leaders, but to help them come up with solutions for a neighborhood that had almost no violent crime last summer and is now considered a high crime area because of a rash of shootings. Gunfire on October 31 in the 1300 block of North Oak Street killed Trevonte Kirkwood, 27, of Bloomington. “My tenants are concerned for their safety, so I have to field calls from them. My husband and I are concerned with our safety,” Kinsella also said. Mayor Tari Renner praised Kinsella for taking her concerns to the council. “I think we need immediate action as soon as possible, like tonight, tomorrow, the next day,” said Renner. “When it comes to something like this, cutting a deal on a multi-million dollar building is a hard, difficult thing to do, but patrolling and having cops walk a beat and going to into an area can be done within minutes,” Renner said. Police Chief Clay Wheeler said the department has already placed extra patrols in the area. “Generally, vehicular patrols, but we’ve also asked the officers to go up there and do what we refer to as ‘knock and talk,’ to go into the area and make contact with the residents and talk to them about what they’ve seen in the neighborhood, heard in the neighborhood, what their feeling is of how the neighborhood has changed,” Chief Wheeler said. The chief is likely to brief the council on the problem at an upcoming committee-of-the-whole meeting.